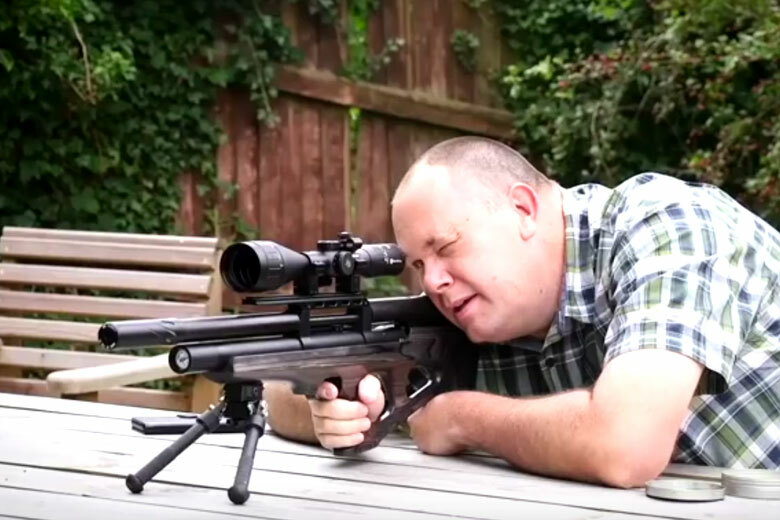 For his latest video, Giles takes the new FX Wildcat Mark II UK version. This, of course, is a sub-12 Ft/Lbs model to comply with UK laws. So the power is low by US standards, but the shot count is HUGE! Make that around 230 shots from one fill in .22 caliber. 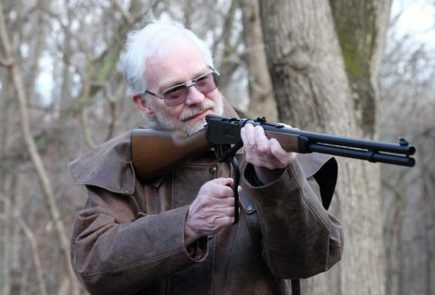 Giles adds a couple of accessories to this shrouded Bullpup air rifle. These include a scope – of course – and a Huggett moderator to make it backyard-friendly. 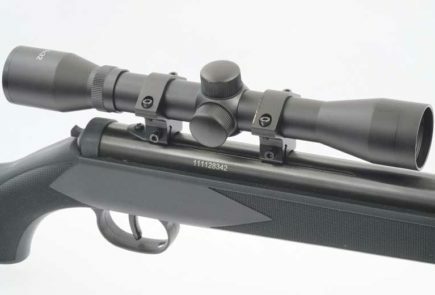 The FX Wildcat Mark II UK Version – and other versions, too – use FX new Smooth Twist X interchangeable barrel liners . 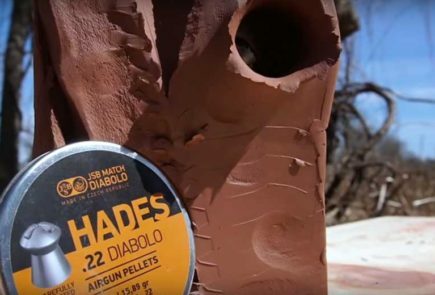 Giles sees slightly better accuracy than with the previous generation barrel using JSB pellets. In this video, Giles also shows us barrel cleaning and removal, together with stock removal and the potential for trigger adjustments. (Not that the HAM Team has ever need to adjust the superlative triggers of any FX air rifle we’ve ever shot). For the finale, Giles empties what seems to be the entire contents of his kitchen and bathroom and shoots them in 960 frames per second, ultra-slow motion. It’s a ton of fun. But what did the good Mrs Barry say?? ?